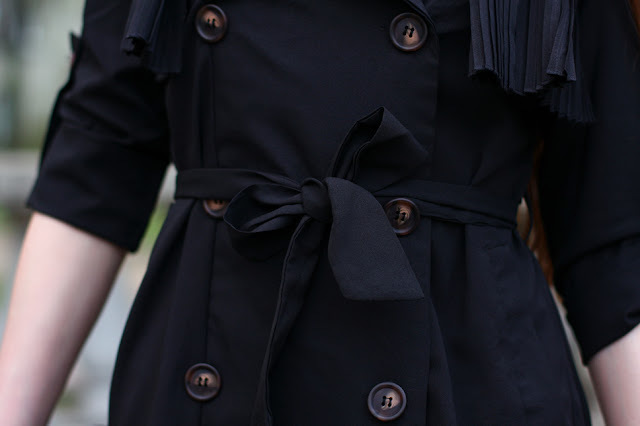 The black color at times evokes negative moods, but nonetheless, I really like it! 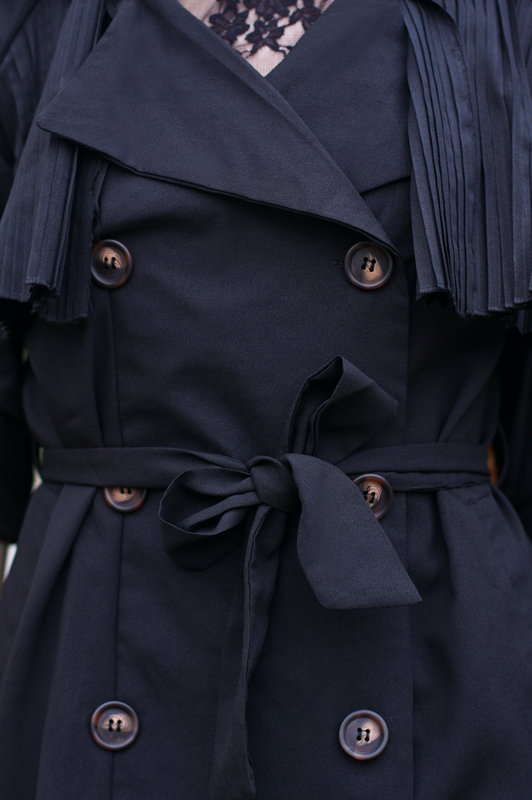 Sometimes I wear black from head to toe but my outfits still keep a girly style ;) Thanks to warm weather I can share with you my pictures that depict an elegant trench coat from Chicwish.com. 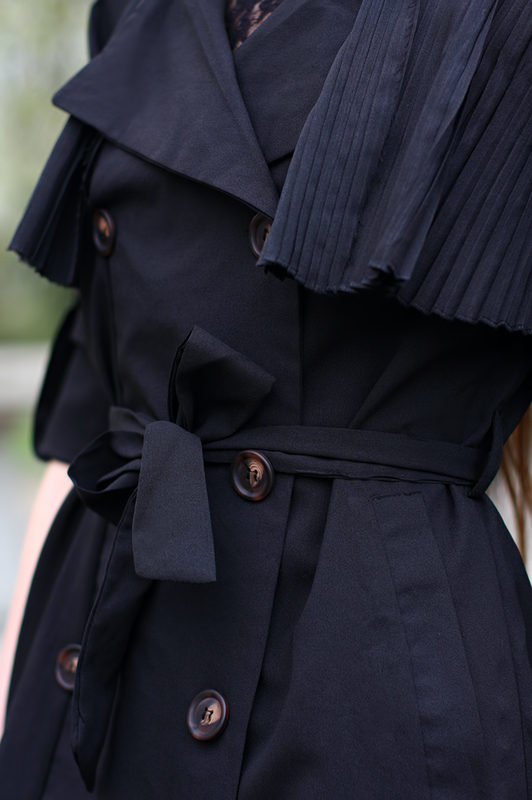 I bought it few months ago, but it has been laying in the wardrobe... until now :) I must admit that I really like the cute ruffles on its back and a belt, which I can pull the tie bow off. I combined this coat with a short dress from Sheinside.com and a quilted handbag witch a gold chain from Arafeel.com. Trencz jest genialny!! Wyglądasz cudnie!! I love black and you look fantastic in it. OMG, your hair is soooo perfect!! W zestawie brakuje jakichs rajstop. Trencz bardzo fajny. masz chłopaka? chłopak robi ci zdjęcia?